The Coast Guard is holding a cargo ship in Unalaska over alleged environmental crimes. The Lindavia arrived in port from China a couple of weeks ago. 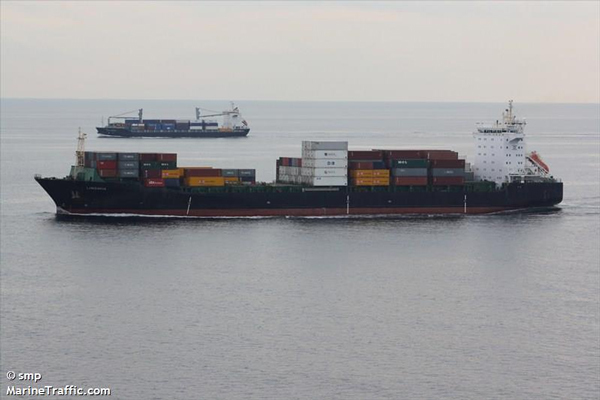 Kevin Feldis, with the U.S. Attorney’s Office, says the 600-foot ship was loading up with seafood to take back to Asia. But was detained before it could leave port. “Right now the crew is still here in Dutch Harbor, and they will be staying there pending further steps in the investigation,” Feldis said Tuesday. He’s working the Coast Guard with the case, but couldn’t say more about the alleged violations, citing the open investigation. Unalaska Ports Director Peggy McLaughlin says the Lindavia was chartered by Maersk Lines. This was its first visit to Unalaska, but McLaughlin says it’s since been released from Maersk’s service. She couldn’t say whether that was as a result of the Coast Guard investigation. The Lindavia is currently at anchor in Dutch Harbor. Feldis says the ship’s owner, Germany-based Dauelsberg, may post a bond to let it leave port as the investigation continues.